A few weeks back, at the 2017 Polaris model intro (see Polaris Model Year 2017 Review), I had the opportunity to get behind the wheel of the brand new ACE 900 XC. To be perfectly honest, that machine wasnt high on my ride list coming into the event. Ever since the ACE was first released a few years ago, Ive sort of scratched my head wondering where and how this machine fits into the current offroad landscape. 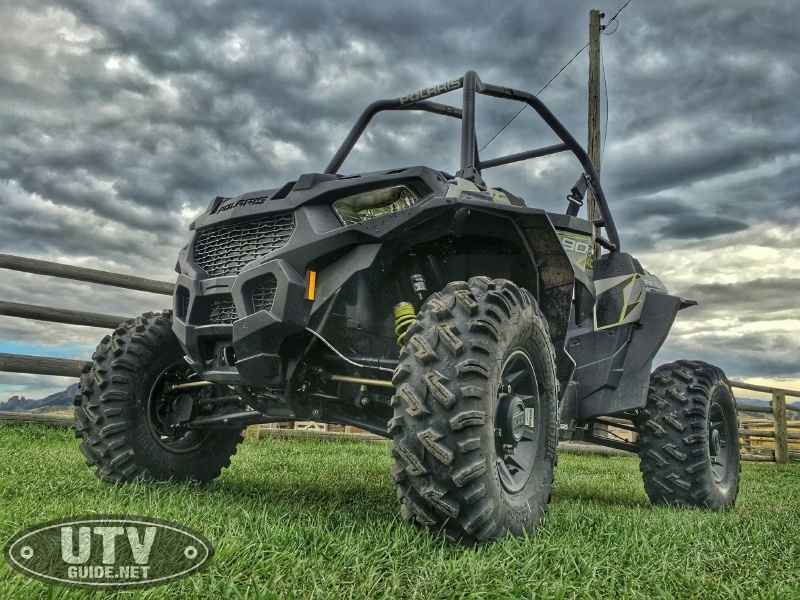 Is it an ATV or a side by side? The industry seemed to welcome the new vehicle with open arms but I was a bit more skeptical. My first opportunity to get behind the wheel of any ACE vehicle was the same trip to Montana and it changed my opinion the moment I turned the key and hit the throttle. The ACE 570 was an absolute blast so the 900 XC had to be an even greater step up. And I was right. But let me back up a bit. 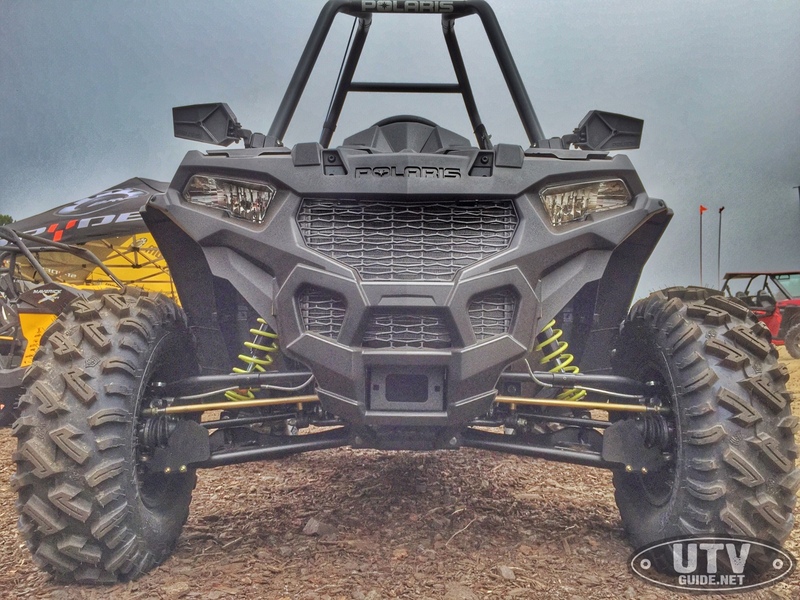 The ACE 900 XC isnt the first 900cc single seat UTV from Polaris. Last year the Minnesota based manufacturer included a 900 SP model in its lineup. While the ACE 900 XC maintains the same 900cc displacement, that is about the only similarity between the two vehicles. 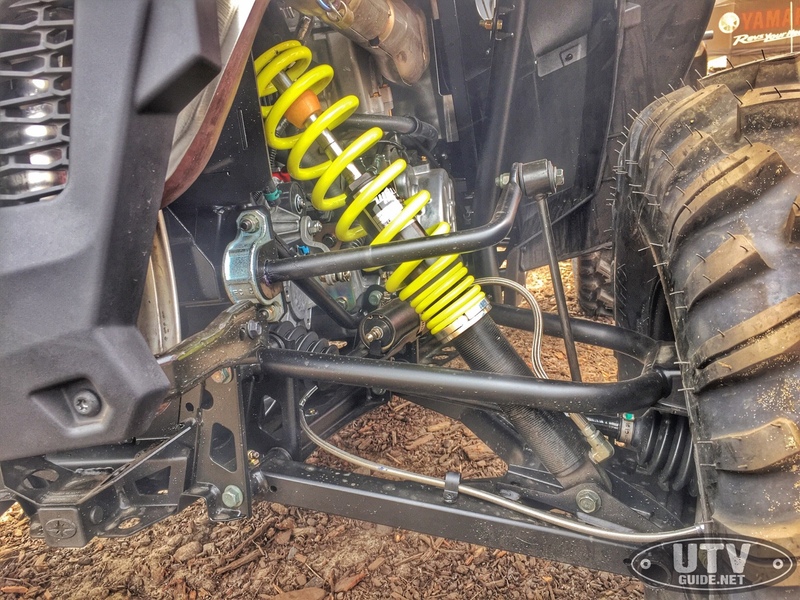 For starters, Polaris completely redesigned the vehicles front suspension. All previous ACE models utilized strut suspension on the front which is functional but certainly not performance enhancing. Instead they moved to a dual a-arm setup with the shock mounted to the lower a-arm to provide the maximum amount of suspension travel possible. Along with new dual a-arm front suspension came a newly designed steering knuckle and new tie rods. 1 3/4 Walker Evans Racing Needle Shocks provide the damping and eliminate bottoming out via the position sensitive needle adjuster. 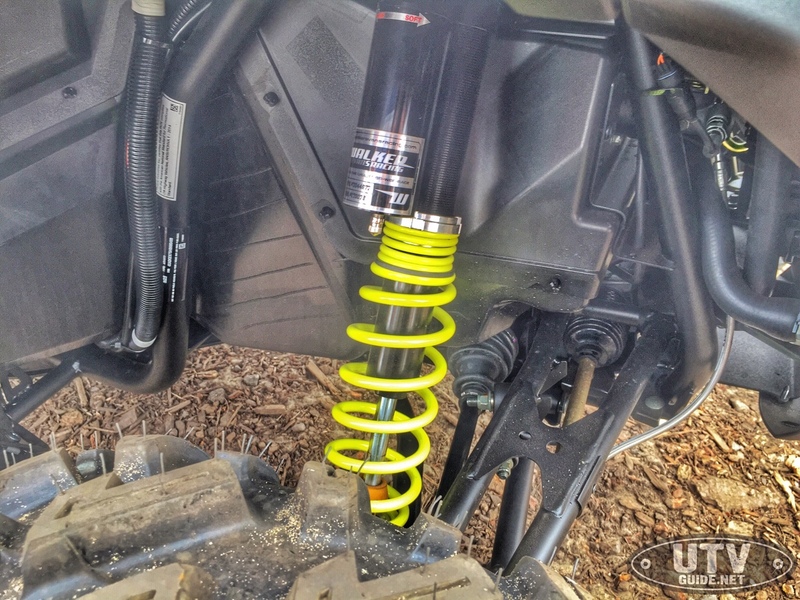 The same Walker Evans Racing shocks are used in the rear though they feature a remote reservoir due to the unique placement of the vehicles exhaust and clutch cover. The whole package provides 12.3 inches of suspension travel in the front and 12.6 inches in the rear, thats an improvement of 3 inches all the way around over the ACE 900 SP model. The longer a-arms also increase the width from 48 inches to 59 inches and the wheelbase grew by 6 inches total, providing a much more stable platform to keep all that power under control. And there is plenty of power to go around. 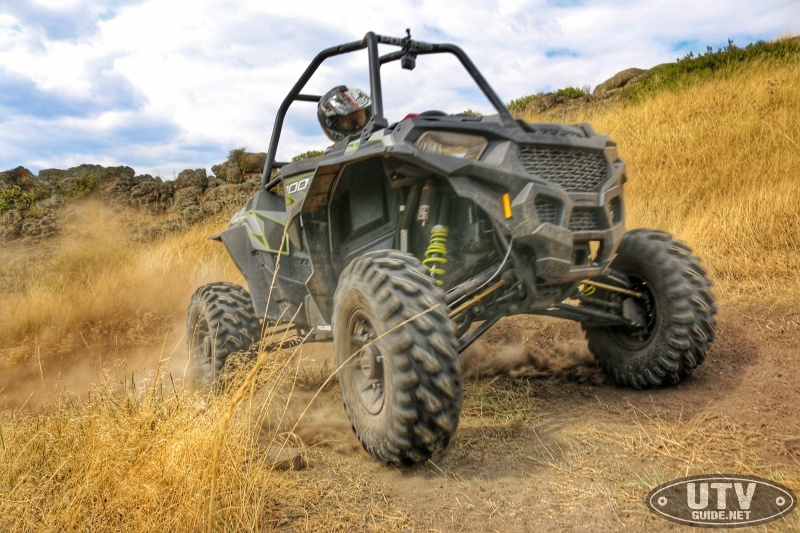 The ACE 900 XC wont hesitate to brake loose, especially on hardpack. It drifts with ease in both 2WD and 4WD and it features Polariss advance automatic AWD system that automatically engages all four wheels if it sense more traction is needed. 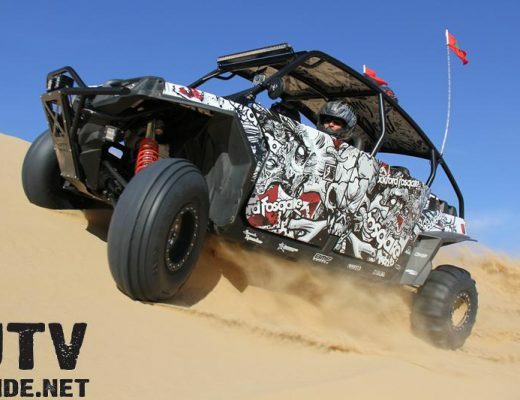 The 900cc engine is actually the same engine used in the RZR 900 S and the 50 inch RZR 900 from a couple of years ago, and cranks out a whopping 78 horsepower. 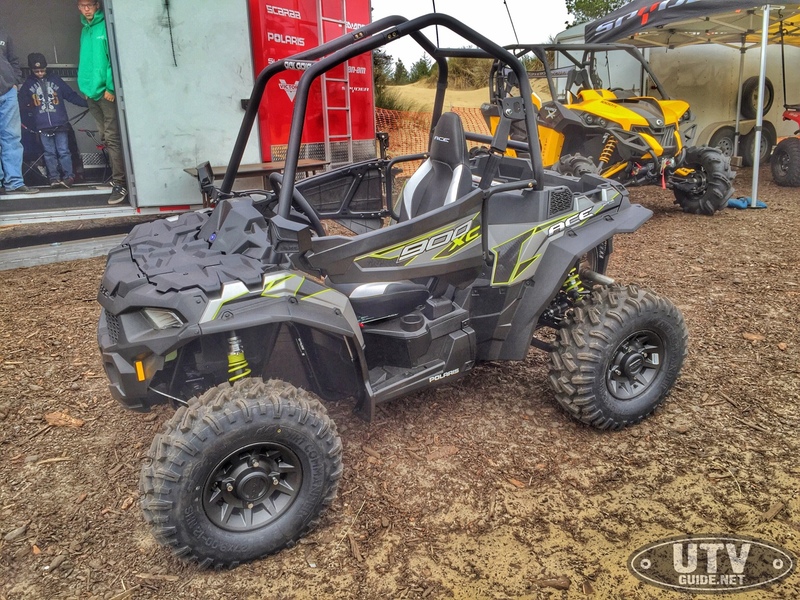 Now if youre thinking to yourself that 78 horsepower is nothing to get excited about when compared to its older sibling, the RZR XP 1000, keep in mind the ACE 900 XC is 200 pounds lighter than the standard RZR so the power to weight ratio is almost identical. What that creates is an incredibly quick and nimble vehicle that turns and accelerates on a dime. 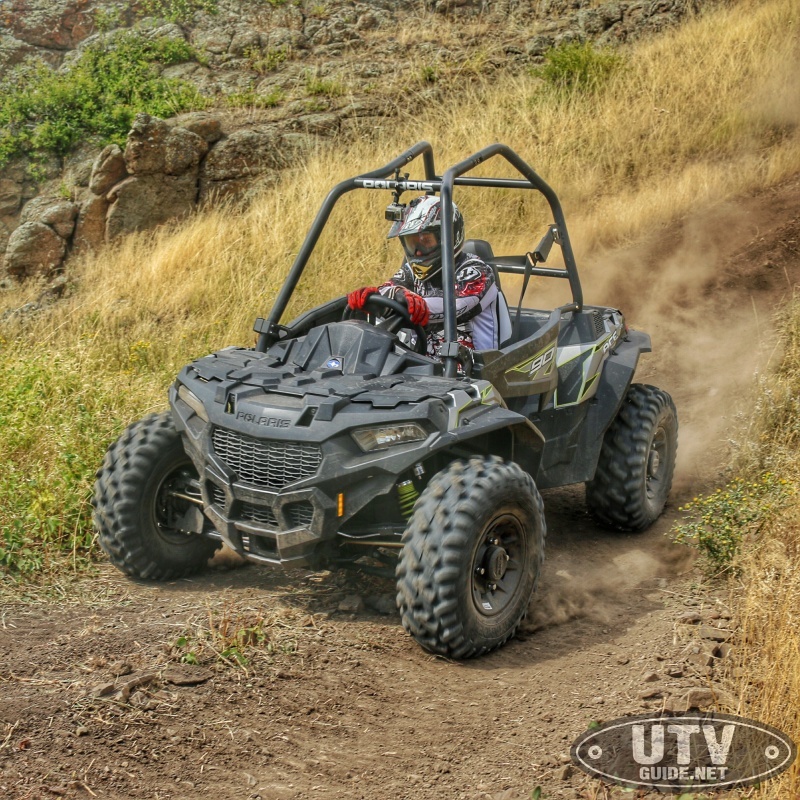 Its like enjoying the comfort and safety of a UTV with the quickness and control of an ATV. No you cant exactly use your weight to push the vehicle around like an ATV, but the center mounted seat lends itself to a more ATV-like awareness and the vehicles overall size makes for precise steering. During our test, we found several tight S curves that gave us the ability to see just how quickly the machine could react. One in particular was at the bottom of a gully that had a fairly steep descent before making a hard turn and climbing up the other side. It was easy to carry speed into the turn and more than once I managed to drift around the corner and pick up speed while leaving the turn. Although the gas and brake pedals are located far to the right, I was able to stretch my left foot over and operate the two independently, though many folks might not be able to due to the position of the steering wheel. A welcome improvement on a future model would be a brake pedal that is closer to the drivers left foot to allow for easier two foot driving. Because this is largely an introductory vehicle, its understandable as to why Polaris positioned the pedals as they did. Still, making it easier to drive with both feet will definitely be a plus for performance junkies like me. Although I cant compare the new suspension to the previous model, I have to believe the dual a-arm upgrade, added travel and Walker Evans Racing shocks are a night and day improvement. 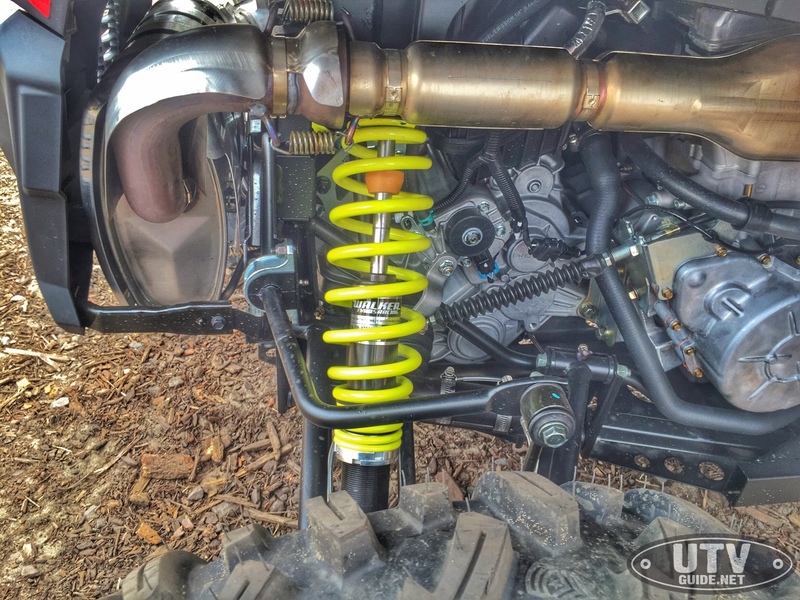 The shocks worked flawlessly over a high speed G-out and small off camber jump that provided just enough lift to get all four tires off the ground. Even at speed, the shocks soaked up the impact and kept me from feeling it in my lower back. 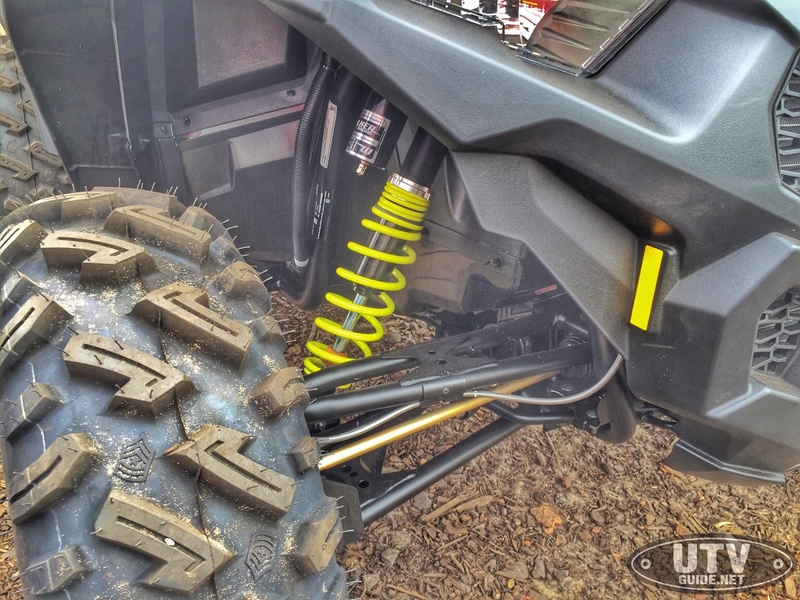 Thanks to the new suspension and taller 27 inch GBC Dirt Commander tires, the ACE 900 XC boasts 14 inches of ground clearance, a half an inch more than the RZR XP 1000. Electronic power steering is partly to thank for the precise control of the vehicle but the machine is so agile, Im pretty sure it would do just fine without it. One negative we did notice is the amount of leg room. If you are 6 feet tall, a little more legroom would be nice. In order to do that, Polaris will need to stretch the chassis a bit, because the front arms are packed in as tight as they can be to the firewall. 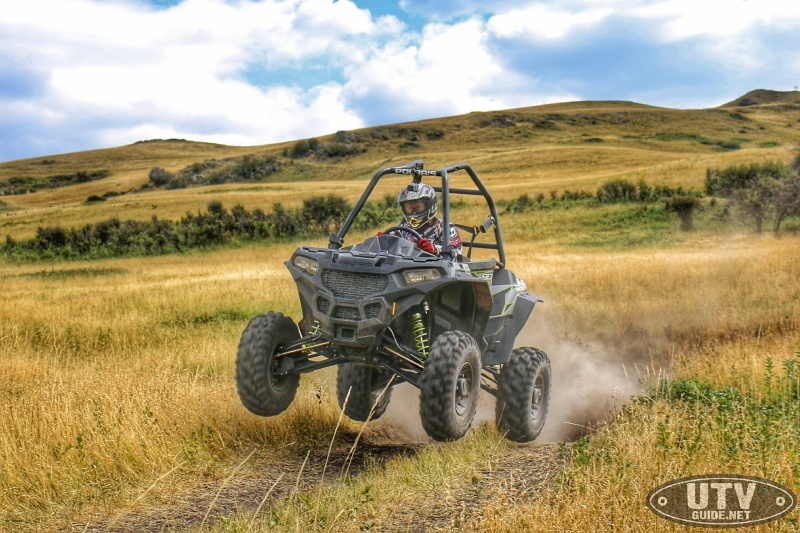 Polaris really hit a home run with the ACE line of vehicles and this newest addition really takes the performance of these single seat fun machines to a whole new level. 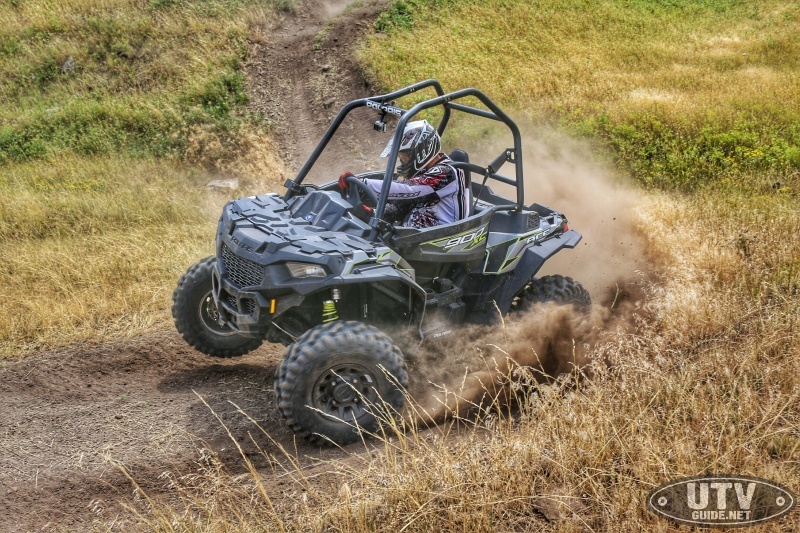 Though Polaris claims the machine is perfect for newcomers to the industry who might be intimidated by an ATV and feel safer inside a cage, seasoned veterans will love getting behind the wheel just the same. Its no shocker that the ACE has been warmly received and Im pretty sure it will only be a matter of time before other OEMs start to follow suit. Polaris is a recognized leader in the powersports industry with annual 2012 sales of $3.2 billion. 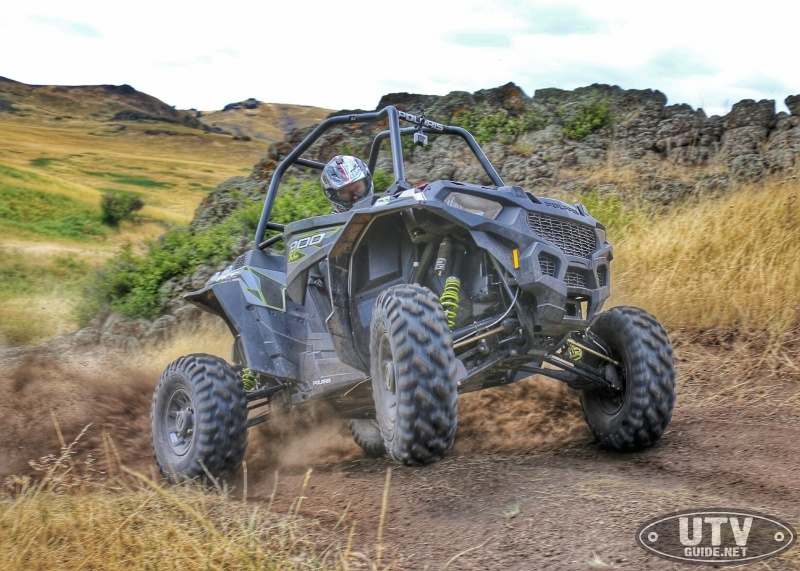 Polaris designs, engineers, manufactures and markets innovative, high quality off-road vehicles, including all-terrain vehicles (ATVs) and the Polaris RANGER® and RZR® side-by-side vehicles, snowmobiles, motorcycles and small vehicles. Polaris is among the global sales leaders for both snowmobiles and off-road vehicles and has established a presence in the heavyweight cruiser and touring motorcycle market with the Victory and Indian motorcycle brands. Additionally, Polaris continues to invest in the global on-road small vehicle industry with Global Electric Motorcars (GEM), Goupil Industrie SA, Aixam Mega S.A.S., and internally developed vehicles. Polaris enhances the riding experience with a complete line of Polaris and KLIM branded apparel and Polaris accessories and parts. Polaris Industries Inc. trades on the New York Stock Exchange under the symbol PII, and the Company is included in the S&P Mid-Cap 400 stock price index.